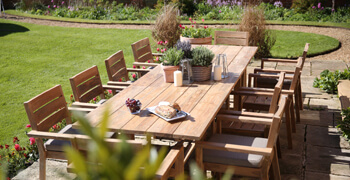 … begins with furniture fit for an alfresco feast! 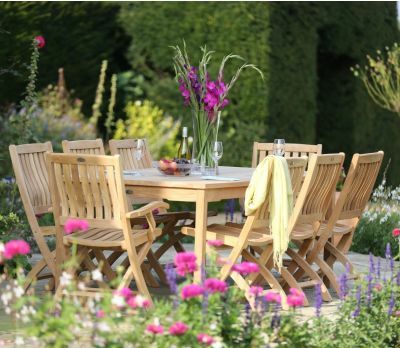 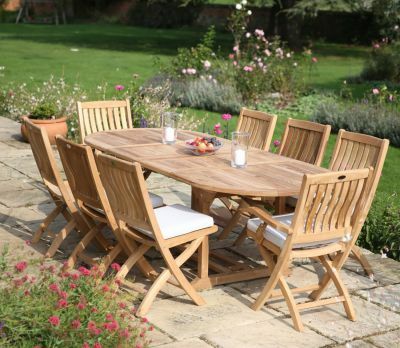 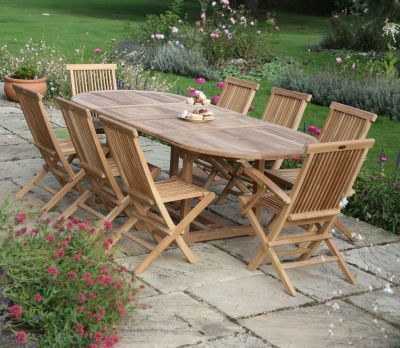 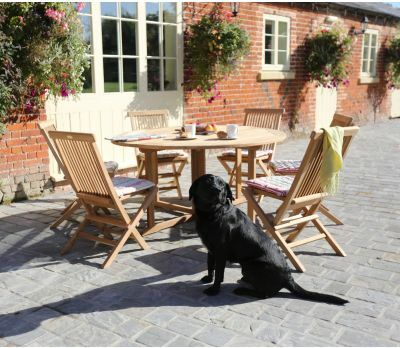 Only the highest quality outdoor garden table and chair sets made from weatherproof materials are chosen to feature in our collection, so you can be sure your teak garden furniture won’t let you down, even if the weather does! 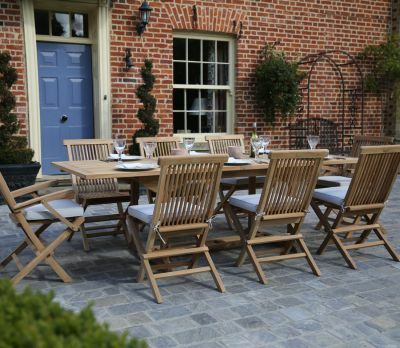 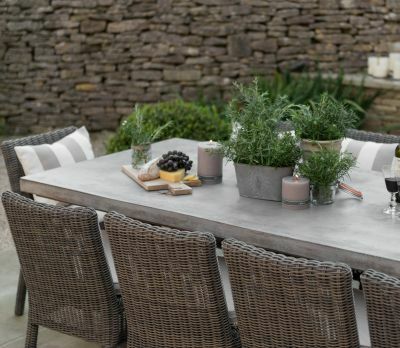 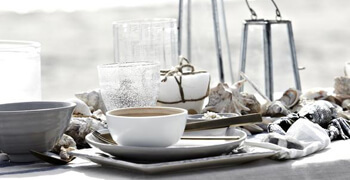 Whether you enjoy the eternal beauty of teak, the enduring qualities of all-weather wicker, or like the contemporary feel of steel, you’ll discover a wide range of styles to suit your taste in outdoor dining right here. 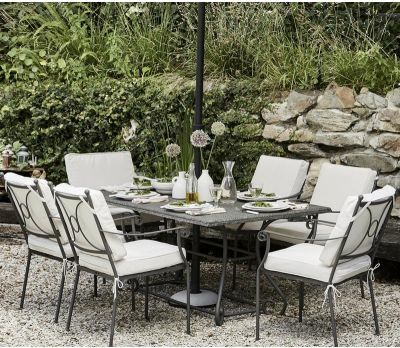 Each set has been carefully selected with durability in mind, while at the same time paying homage to classic and contemporary designs that you will still love in years to come. 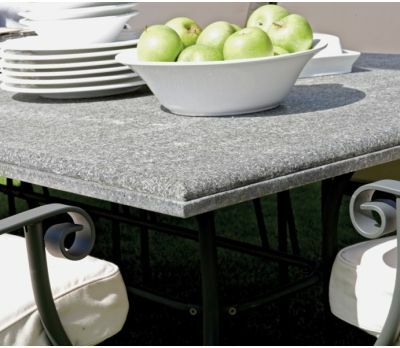 Granite, polished concrete, and glass tops, natural fabric seat cushions, and high quality workmanship add an extra dimension of luxury that sets this collection apart from others on the market. 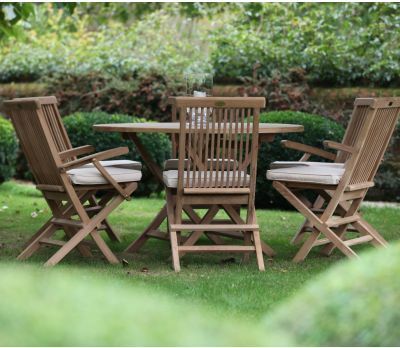 Quality starts with craftsmanship, and is completed by great design. 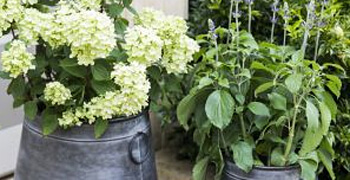 Both are guaranteed to stand the test of time. 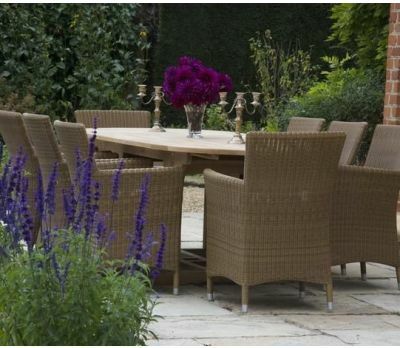 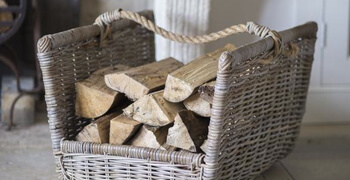 All-weather wicker is resistant to moisture, cracking, peeling, breaking and fading, making it strong and durable – even with very little maintenance. 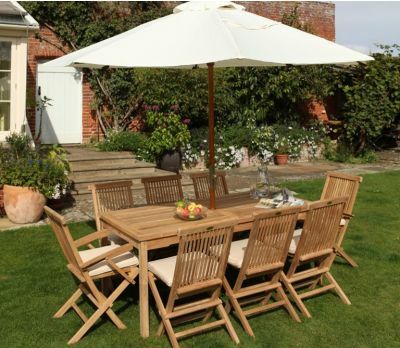 Perfect for outdoor table and chair sets. 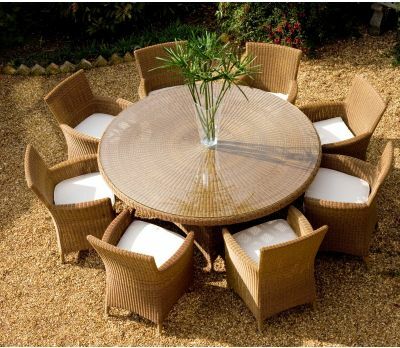 Synthetic Rattan makes it possible to enjoy traditional wickerwork without worrying about your outdoor furniture getting damaged. 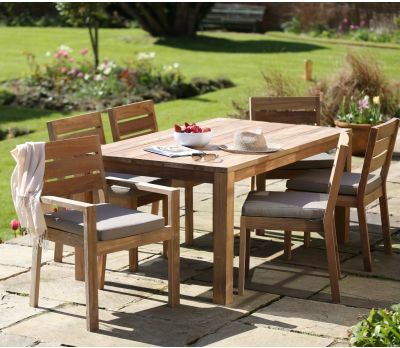 A-grade plantation teak, used in these teak table and chair sets, is sustainably sourced from Government controlled forests in Indonesia then kiln dried to make it as strong as teak from ancient forests. 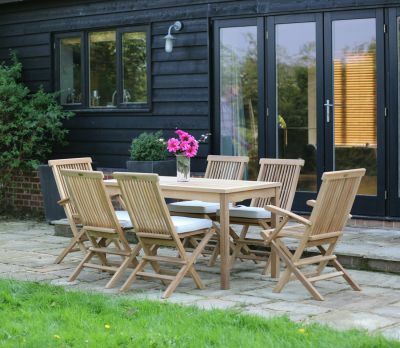 The result is the highest quality furniture that can be kept outdoors all year round that quite literally won’t cost the earth. 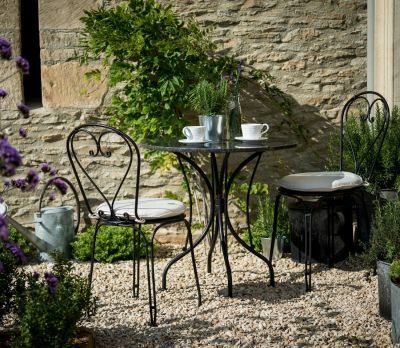 Steel garden furniture is robust, low maintenance, and extremely durable. 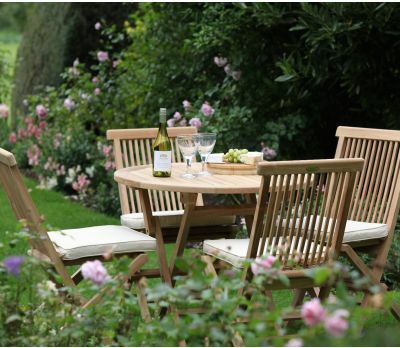 These qualities make it an ideal choice for outdoor areas that are exposed to the extremes we see in British weather!